I made a video with this drawn thread, but since early morning I am waiting for the you tube make it ready! I gave up and deleted it. I’ll try again and meanwhile here you have some pictures. work on the back side and from right to left. it can be worked from top to button as well. à esquerda o avesso, podendo apanhar-se três, dois ou quatro grupos de fios; à direita as três bainhas muito simples já demonstradas e com as quais faremos algumas variantes (com video, de preferência…). 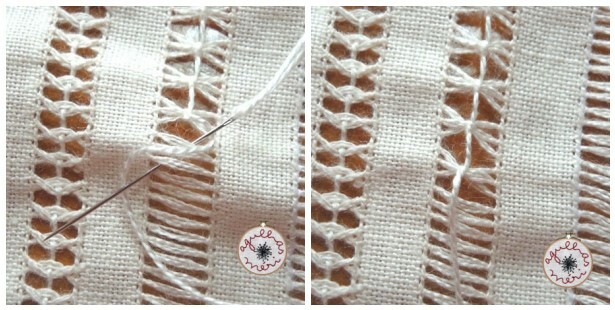 at the left side you can see the back side and you can join two three or four bunches; at the right side you can see three very single hems already done; with this single stitches we’ll make some variations (preferably with video…). 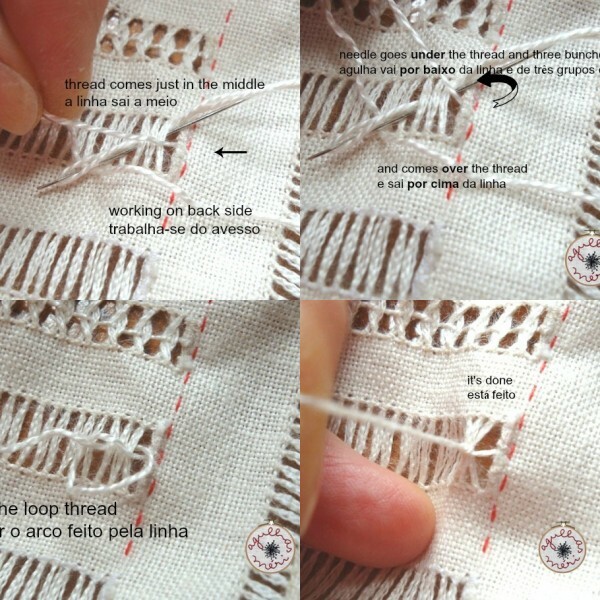 This entry was posted in bordado, embroidery and tagged bainha aberta, drawn thread by meri. Bookmark the permalink. Tão simples e tão bonitas! It’s beautiful Meri. My grandmother used to do gorgeous work in a similar technique. I watched some of your tutorial on your blog, it is very good. I am trying to resist the temptation do follow, so many other projects on a go at the same time! This is the second day I search on the internet to learn more about drawn thread. The info on your site is very interesting. Love the project you are working on and you share with the world. Thanx for all the effort you make so we can enjoy all your embroidery. 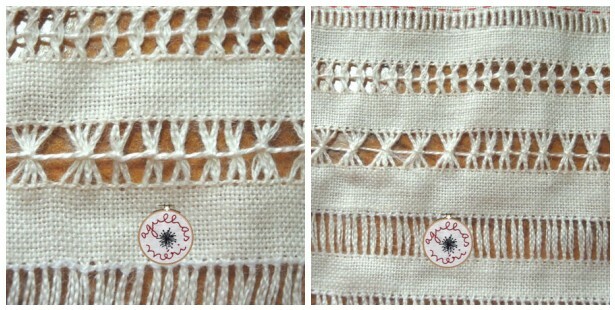 Hope to make my own sampler soon. I’ve been inspired by your pictures.